End of Year Reflecting // As we approach the end of 2016, I find myself looking back and reflecting on this past year. I think reflection is good for the soul year round, but most definitely important as we prepare to enter a new year! I was thrilled when I found this article that spoke about end of year reflecting by my favorite writer, on one of my favorite blogs (!!). I urge you to not only check it out, but also to spend some time looking back and reflecting on your own 2016. Two weeks left my friends, there's still time! Midwives Can Change the World // If I can influence you to do one thing today please watch this! Regardless of whether you are in the health care field or not, this is so important, especially if you are a woman. I think some of the issues brought up during this talk are things many people didn't even know were issues. As someone who is going into maternity nursing this is an issue dear to my heart, and I hope that with increased awareness this country can make strides to better not only the outcomes for women in this country but also their birthing experiences. 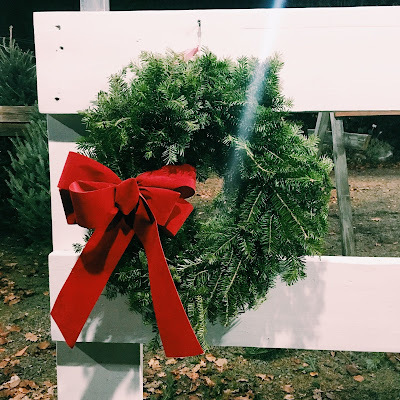 Holiday Destinations // With the Christmas season upon us & everything decked out for the holidays, I have been thinking a lot about what the Christmas season is like in other cities around the world. I think this in part due to my recent travels - I can't stop thinking about how magical Paris would be this time of year. I think Paris at Christmas time is most definitely getting added to my bucket list! However, I'm sure Paris isn't the only beautiful place at Christmas time. I would gladly take a trip to each and every one of these holiday destinations! Check them out & join the wanderlust club. And just in case you still need ideas for some last minute gifts!